Discussion in 'Tutorials and Tools' started by Mr.Crane, Dec 11, 2017. I made this just to see how/if it works. Went to mixamo, downloaded the anim clip, applied it to a controller and that again to the chair. You can still move the arms in vr but not the fingers. Not yet, maybe someone can fix that. PhaxeNor and desunesu like this. I just downloaded the animation from mixamo to see if it works. they have also poses that are not animated or just one frame. that may work. if not i'll have to delete the anim tracks for the hands in the animations. I deleted the key frames for the fingers, didn't help. Maybe if I delete the entire arm. Or maybe the IK system doesn't override the hands if there's custom stuff on seats. Hi i would to use these seating possitions in my world. How do i appy these to a controller? If you have the animation and the controller it is just drag and drop. What I did was DL the anim from mixamo and import it as humanoid in Unity. Could be anything even MoCap if the resulting rig/anim is compatible with Unity. I made a copy of the default (simple or sample) avatar controller. and made a new transition from entry to the orange thingy. I just realized that the fingers don't work on Mimi's car prefab, that also has a seat override animation. @Mr.Crane have you by any chance had any further updates on cracking down on the hand gestures for the custom seat animations? 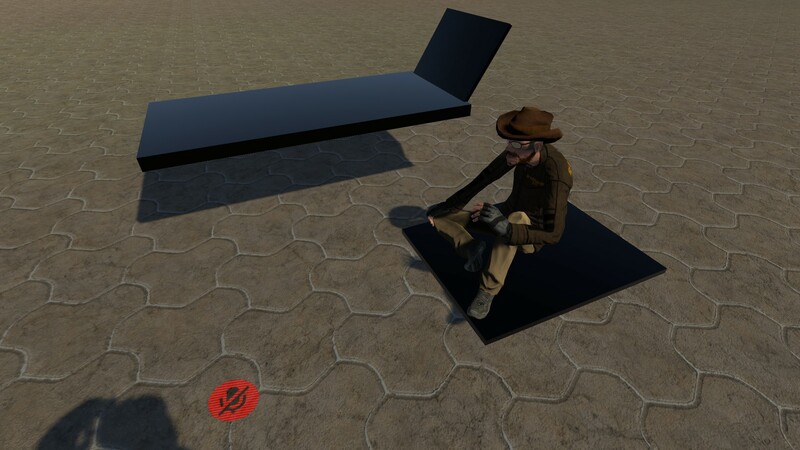 I ended up making a few custom sitting animations of my own, mostly to make it where any character height can sit on a chair without clipping into it. Also did some custom dances and standing animations for future ideas. No and I doubt that it helps to disable all hand animation as suggested by jazneo. So, I've been playing with this a bit and there's lots in addition to what you can do here. Take the anim you want to replace a full and complete animation with and stick it in the "idle" animation. Done. This, I imagine, is how mmd dance world works. For sitting, go into AnimatorOverrideController on vrcstation, make sure you set to "Seated"
I think however, that you need to include the bits of avatarcontrollertemplate that control the hands. You could make a copy of avatarcontrollertemplate and replace just the one animation and things might work again, since that's what contains thumbsup, etc. My plan is to make collisions happen in my world that animate you into doing things, might be fun. Guess is not working anymore, this file actually corrupt my project. Mr.Crane and VectorSix like this. Should be that! btw Great post! Working! Thank you! Im struggling a lot to get help In my current project. I still have a lot to learn!